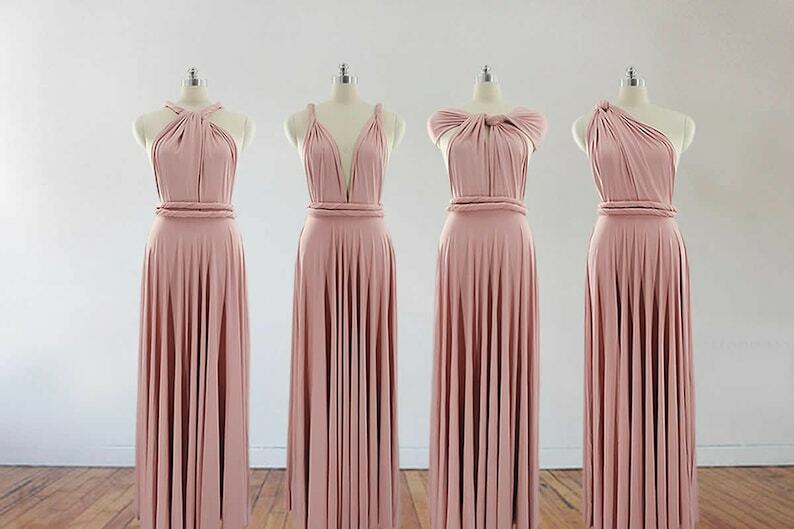 Most bridesmaids’ dresses these days are more than bearable: many are downright flattering. Start shopping for your maids’ gowns as soon as you’ve decided on your dress. Take at least one attendant with you when you shop- you’ll need her as an advocate. It will take a few months to coordinate sizes, for the dresses to come in, and for alterations. Start as soon after the seven-month mark as you can. Research stores (the salon where you bought or shopped for your wedding gown, a wedding warehouse or outlet-type store, the dress department of your favorite department store) and ask bridesmaids for any “off-limits” styles or colors. Make sure everyone sees the dress (even if it’s just a picture) and okay the style before you order. Don’t make your bridesmaids wear the exact same dress. Choose a designer, choose a color, and let them each make their own choice from the line. While it’s not required, we think it’s nice to pay for part- if not all - of the dresses, particularly if your taste is extravagant. If you can’t all agree or your maids are more concerned about the style(s) they wear than you are, buy fabric and then hook them up with a seamstress - they can design their own dresses. You aren’t bound to shop in a bridal salon. Off-the-rack at your favorite chain store will do, too. Make sure everyone buys the dress ASAP once you find it, though, because retail is not as accommodating as custom. Don’t inform your attendants they must get their hair professionally done (and pay for it themselves) on the wedding day. Make it a gift from you, or let them do their own hair. A bridal party in black is your best (and frankly, easiest) option for an evening affair. Nobody can complain about the color-and who can’t use another black dress?